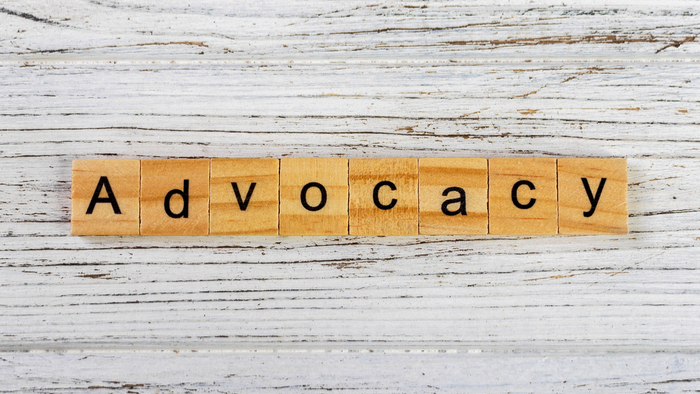 BoardSource encourages all nonprofit board members to advocate for their organization’s mission through advocacy work. The following success story comes to us from Jewish Family Services of San Diego (JFSS). Step One: Persuade the Board to Adopt Advocacy as a Priority: JFSS is a multi-service nonprofit with a budget of $17 million and a mission to empower people of all ages and faiths to reach their goals and build better lives. In 2013, its new CEO, Michael Hopkins, was concerned by its growing proliferation of programs. He knew he needed to engage his board early — he needed time to first educate and then motivate the members to approve the resources needed to support JFSS’ growing advocacy presence. His efforts were aided by his ability to attract a new board member who would go on to become the chair and champion board advocacy. Step Two: Solidify Support by Demonstrating Impact Today, advocacy is integrated across the organization and is a deeply ingrained part of the JFSS culture. Today, JFSS’ advocacy work has significantly strengthened the organization in very tangible ways. In 2016, JFSS was named nonprofit of the year for San Diego County, and since making the decision in 2014 to prioritize policy work, JFSS has successfully secured substantially more than $1 million in public grants. Read the full article about advocacy as a priority by Laurel O’Sullivan at Board Source. You’d think that nonprofits would lead the way when it comes to diversity. After all, many serve the downtrodden, including people of color, immigrants and the poor. But no. A new survey of more than 1,500 nonprofits found that 90 percent of their chief executives, 90 percent of their board chairs, and 84 percent of their board members identify as white. Some 27 percent of boards identify as all white. It bears repeating that at the same instant that 56 men signed the Declaration of Independence, swearing that “all men are created equal,” they founded a nation in which all people were not. Does this matter? Absolutely, says Doug Stamm, the chief executive of the Meyer Memorial Trust, which lately has been engaged in what it calls an equity journey. It has put the issues of diversity and inclusion front and center for the Meyer trust and, increasingly, for the nonprofits that it supports. For many years, the 35-year-old Meyer Memorial Trust, which was created with a bequest worth $63m from grocery story mogul Fred G. Meyer, operated as a traditional, regional foundation, making grants in response to requests from a wide array of nonprofits in Oregon and Clark County, WA. “Often times getting a grant from Meyer depended on you knew,” says Stamm. That said, Meyer has been innovative in some respects: It was the first foundation to meet all of the Foundation Center’s Glasspockets criteria for transparency and it was among the pioneers of mission-based investing. Read the source article at Nonprofit Chronicles _________ Marc Gunther is a writer for Nonprofit Chronicles. A good way to complement your interest in Advocacy and Policy is to connect with others. Check out these events, galas, conferences or volunteering opportunities related to Advocacy and Policy. If you are looking for opportunities to take action and give money to Advocacy and Policy, here are some Giving Funds, Charitable Organizations and Projects aggregated by Giving Compass where you can take immediate action.